For two weeks running I have addressed issues on this page regarding the 2019 elections, and how the Church has turned the pulpit into a campaign podium for the PDP presidential as well as gubernatorial candidates in some states of the Federation - For the Love of Atiku and, last week, The Church Re-Elects El-Rufai. So-called men of God, we have witnessed in the run-up to the election, openly canvassing for support in favour of their anointed candidates, as if God were a card-carrying member of the PDP. Today I will address, firstly, false prophecies from the pulpit on electoral outcomes, and secondly the demographic realities the Christians of Kaduna must come to terms with after the success of the Muslim-Muslim ticket. Democracy in Nigeria, especially during the 2019 general elections, has exposed many “false christs and false prophets” who did not “perform signs and wonders” that could deceive “even the elect”, but who brazenly attributed to God what He did not say. (March 13:22). The most baffling aspect of these false prophecies is the flock of worshippers who were witnesses to the falsehood when they were uttered, but who, despite seeing the incongruities in the predictions, continue to flock the same places of worship administered by these shameless liars in clerical garb. Moving from one side of the dais to the other, and some of them, betraying feeble grasp of the English language in their delivery of the sermon; doubtless, many among their votaries are much more educated than they are. However, this educated laity must meekly attune truth and falsehood emanating from the pulpit, from one who receives Devine inspiration and is moved by the holy ghost. Needless to indicate that the footage was released few months to the 2019 presidential election, and this revelation was related to the worshippers in this place of worship, about God’s decision to forsake “fathers” of the likes of Buhari, “and God located a youth.” By this Devine revelation, the next president of Nigeria will never be a Muhammadu Buhari. “I see a name starting with ’S’.” in case anyone was in doubt, the prophet, in the video footage, continued, “And I see a chair and ’S’ sitting on the chair. And the country become peaceful. If you know Obasanjo, tell him God said he must use every resources that he has to support this elected youth by God, the way Samuel support David. This deluded prophet portrayed God as being oblivious of the withering influence of the Letter-Writer in Nigeria’s politics, and how, during the elections, he and other retired generals and political godfathers will be routed and rendered politically irrelevant by the masses, "the real voters." “Anytime I stand to prophesy to nations here”, said the charlatan prophet, “you know, it doesn’t miss. I will not say what God did not say. And I will not prophesy what God did not put on me or in me. Whatever I heard that He say I should say is what I say, and there is no apology for it. … President Muhammadu Buhari, thank you for what you have done for Nigeria, we celebrate you, we honour you, and we give you quick recovery from any illness in the name of Jesus, but sir, step-down, youth is the next.” Maybe he was referring to the Next Level which the Buhari government is still loading for launch after its swearing-in! Para-Mallam said, “The idea of a Muslim-Muslim ticket in a State which is multi-cultural, multi-ethnic and multi-religious as Kaduna … is politically wrong and unacceptable either in this 2019 election or the future.” Para-Mallam found it convenient to speak from Jos and avoid the similarity between Plateau and Kaduna, more so that the Muslim population in the former quadruples that of the Christians in the later but where Christian-Christian ticket is the default politically. Muslims in the Plateau suffer what Para-Mallam described as ‘politics of the tyranny of the majority’ where they are treated unfairly. His pontification detoxification rhetoric should start from Plateau State. “To insinuate”, Reverend Gideon further said, “as I hear some claim that votes from Muslims alone can produce a Governor in Kaduna State thereby making votes from Christians irrelevant is unfortunate and condemnable.” That was an allegation, without evidence, made by Prophet El-Buba against the Kaduna State Governor as I mentioned here last week. 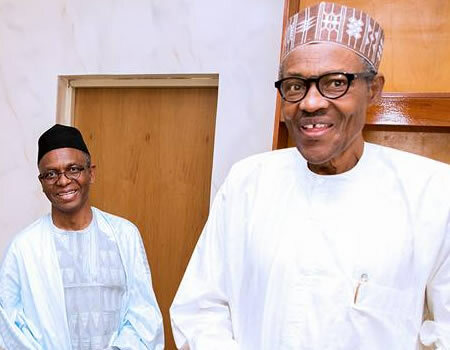 However, when looked at closely, bearing in mind the Church’s posture before the election, and how Kaduna Christians were called upon to converge from all over the world to ensure El-Rufai's ouster, one can assert without equivocation that many Christian votes did not go to El-Rufai. They voted for the Christian-anointed candidate of the PDP who got quite a number of votes from Muslims also. Thus, in spite of the split votes of Muslims - some to El-Rufai and some to Isa Ashiru - the “bulk votes of Southern Kaduna” and those of “non indigenous people” did not make Christians of Southern Kaduna victors in the race! This boldly calculated political gamble by El-Rufai has paid off and exposed the demographic strength and weakness of the various parts that make up the state. Come 2023, thanks to the Church for sharpening the blunt edges of religion in the election; gubernatorial candidates will not be overawed by false claimants of political relevance. The real democratic process of negotiation according to what various components in the state can bring to the table in terms of votes shall apply. No candidate will be held hostage and be coerced into ratifying one-sided covenants in favour of a section of the state bereft of demographic virility!